RUSH: Jerry in Daytona Beach, I’m glad you waited. Welcome to the EIB Network. Hello. 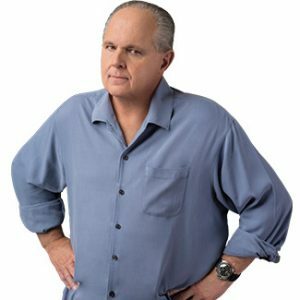 CALLER: Rush, thank you very much, and I want to let you know that I honestly believe you are often so right so much of the time, and you made a point about the fact that the Democrats pushed Obamacare, and they didn’t have to even read it to vote for it. Because I really, truly believe that they — and I know you’ve made this point. They just wanted the system to implode, so that the next logical step would be everybody throw up their hands and we’ll go for one-payer system. They will remain in power forever because control voters through fear, and that’s their modus operandi and exactly why we don’t need their input at all. And, in fact, I think we should shun any input, because another point you’ve always made, that bipartisanship means you agree with a liberal. And so, you know, they need to come to us. We do not need to ask them for any input because they were trying to implode the system, and they should be called out for it by every Republican in office. And with the next election, we should just absolutely be a mantra that anybody who voted for Obamacare was doing it for party power and they should be voted out of office. And we’ll honestly have a supermajority from that point on. RUSH: Okay. You have said some interesting things. I’ve got a fascinating piece in the Stack here that is unrelated to North Korea or Russia or whatever, and I’ll find it during the break. It’s actually an analysis piece that really demonstrates the utter hopelessness of the Democrat Party today in winning elections even in 2018. And something you said in your comment led me to remember this. I will find it during the break and I’ll promise I’ll come out with it. I didn’t lead with it because I know that North Korea and the Russia story would take prevalence today. And I also know that some of you don’t like hearing the idea that Democrats keep losing elections ’cause you watch the media and you think it doesn’t matter because the left is still winning since they get to set the narrative every day. I understand that. But the electoral side matters, and they are going to continue to keep losing, for a host of reasons, which this piece makes very clear. But your point about the Republicans ought to be running around characterizing the Democrats a certain way, when is the last time you remember that happening? The Democrats are constantly characterizing Republicans. They’re constantly either calling them names or accusing them of all sorts of evil, racism, sexism, bigotry, homophobia, you know the clichéd routine. When do you ever hear the Democrats spoken of that way by Republicans? It just doesn’t happen. Now, I mean there are exceptions to it. Newt Gingrich. But he’s not an elected Republican. You will not hear Republicans speak that way. And even if Republicans believe that Obamacare had a single purpose and that was to usher in single payer, they’ll never accuse the Democrats of voting for it for that. That’s not the style of politics that they engage in. Anyway, let me take a break here and find this story that you prompted my memory to recall. RUSH: FiveThirtyEight.com is the source for this. The headline: “The Congressional Map Has A Record-Setting Bias Against Democrats.” They use the word “bias.” This is a polling outfit. This is Nate Silver’s website, FiveThirtyEight.com. Don’t confuse bias here with an ideological bias. This is a mathematical bias that they’re talking about. These are polling scientists. And of course the term “bias” has a scientific meaning and interpretation that has nothing to do with people’s unbalanced opinions. They don’t deal with those in polling. Now, I realize numbers and things like this are complicated to keep track of if you’re hearing them. So let me run through it one more time here. 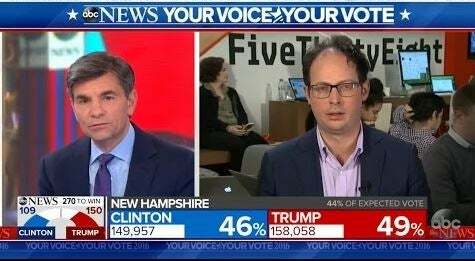 “Even if Democrats were to win every single 2018 House and Senate race for seats representing places that Hillary Clinton won,” go to districts or states that Hillary won, and you’re gonna include districts and states that Trump won by less than three points, if the Democrats were to win every such seat which would be a great midterm standard of victory, they would still fall short of the House majority, and they would lose five Senate seats. If they win everything Hillary won, and if they win where Trump’s victory was three points or less, they still lose five Senate seats and they don’t take over the House. This is partly attributable to the nature of House districts. Republican gerrymandering and Democrat voters clustering in urban districts has moved the median House seat well to the right of the nation. Part of it is bad timing. The Democrats have been cursed by a terrible Senate map in 2018, and that means that they have to defend 25 of their 48 seats while Republicans have to defend just eight of their 52. So of the 48 Democrats in the Senate, 25 of ’em are up for reelection, and many of them are in states that Trump won and won big. And this has people like the people at FiveThirtyEight and elsewhere scared to death. There’s a larger long-term trend at work, too, that should alarm Democrats preoccupied with the future of Congress and the Supreme Court. RUSH: Back to FiveThirtyEight. In addition to the problems the Democrats have in 2018, to review, it’s very simple. We’re talking House and Senate races here, 2018 midterms. “Even if Democrats were to win every single 2018 House and Senate race for seats representing places that Hillary Clinton won or that Trump won by less than 3 percentage points — a pretty good midterm by historical standards — they could still fall short of the House majority and lose five Senate seats,” and that definition would be a very good midterm result. So in the case of the Senate, it doesn’t matter that the Democrats own New York and California, because it doesn’t give them any kind of advantage, because they’re losing everywhere else. They’re losing in these states that Trump won: Arkansas, North and South Dakota, Wisconsin, Louisiana, Montana, West Virginia. And this is long-term. This is not just 2018; this is long-term. The Democrats are becoming a party of a relatively few number of people, and it’s not the Democrat coalition. They no longer represent the little guy. They represent the uber-elite and wealthy on both coasts. That is the Democrat Party constituency right now. They are trying to make an electoral majority out of massing these different groups of minorities together, but then that becomes a turnout problem and that costs a lot of money. As they have become more radical and more leftist they have genuine problems. Now, there’s another aspect of this, though, folks. Their pollsters are lying to them. Do you think, for example, when any polling unit goes out there and tries to get Trump approval or when they go out and try to find a reflective group of people on a Democrat policy they like, do you think they are talking to people or surveying people in places that Trump won big? Do you think they’re going to places like South Dakota to do polls? Are they calling people there? Are they calling people in Arkansas, North Dakota, Iowa, Louisiana, Montana, West Virginia? They’re not. They are talking to people like them, elitists. They’re talking to people in New York and Los Angeles, and Washington and San Francisco. And as such, they’re talking to people where Hillary won big, not places where Trump won big. And even if they win all of these places, even if their polling data shows that they’re cleaning up in New York and California, San Francisco, LA, and Washington, that doesn’t change the status quo. I think the polling units are lying to Democrats. I think that’s one of the reasons why they’re still so shocked Hillary lost. They believed their polling data. They think the polling is right and the actual vote count is wrong. And there’s no sign any of this is gonna change. And something else isn’t gonna change. The Democrats are gonna keep losing elections. Folks, I’m gonna continue saying this. I know it irritates some of you because even though they’re losing elections, it doesn’t appear they’re losing anything, I understand that. But that’s because the media runs the left now. The media is the central organizational power of American liberalism. The Democrat Party is simply an arm of it. And the media doesn’t have to get elected. The media doesn’t lose seats. The media owns what it does. And they never will be voted out like Democrats will. So the reality the Democrats are losing is masked by the illusion that they’re not.